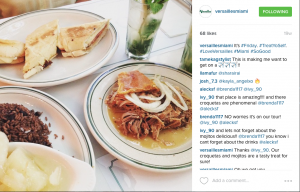 Social Media Strategy for Your Travel Business: 7 Easy Steps! Many times travel businesses freak out a little about the prospect of creating a social media strategy. It’s really pretty simple. Just create and nurture relationships with people who care about your brand, and then turn them into your cheer squad. Having a clear strategy helps you stay focused on your goals and increases your success rate. Here are 7 tips to get you started. Ask questions like: What interests them most? or How do they use social media? When you have those answers, it’s easier to figure out what kind of content you need to post to capture their attention (and keep it!). Conducting customer surveys or reading up on social conversations that relate to your brand are a couple of good ways to get those answers. Do you want to elevate your website traffic? Focus on adding links to your website within your content. Create quality content that people will use and share. A weekly blog is an ideal way to keep your content fresh and increase the chances of people visiting your site often. Here are four reasons why blog posts are awesome for travel and tourism businesses. Do you want to heighten awareness? Don’t just clog your social channels with mindless promotional dribble. People will check out quickly. Put out great content that makes your brand personality stand out, but not overwhelm. Also, avoid overusing meaningless hashtags. Use them thoughtfully. If they don’t increase your brand’s overall awareness, omit them. Do you want to deepen loyalty? Post relevant topics. 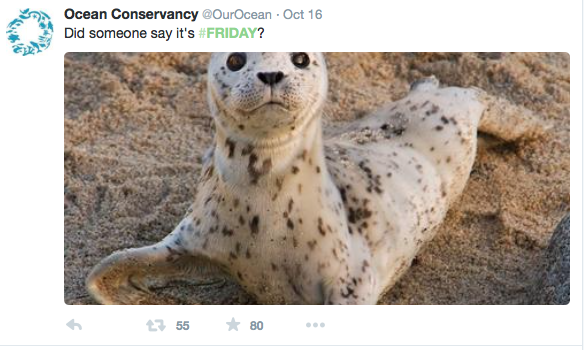 The occasional “Happy Friday” post is great, too, especially if you can weave your brand into your message (without being spammy). Here are a couple of good examples from Visit Scotland and the Ocean Conservancy. Both posts received a healthy number of shares and likes. If possible, answer all comments posted on your website. Also, respond to tweets and Facebook comments. This will help you make a connection with your audience. A good rule to live by is to respond to all comments and shares – not just the positive ones! Here’s a helpful blog from Hootsuite with tips on how to respond to negative reviews and comments. 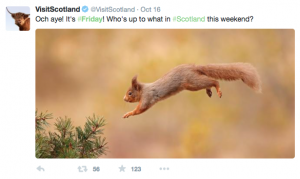 Using social media effectively can be a boon for your travel and tourism business. Brainstorm ways to get your customers to share their enthusiasm for your brand. 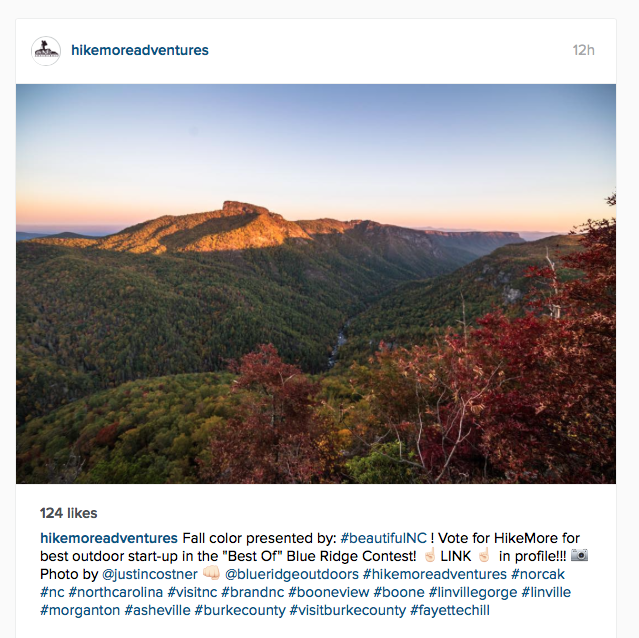 Consider ideas like offering a 10% discount on their next tour when they tag you in their Instagram pics of their tour. You could also offer a free glass of wine at check-in when guests check in on Facebook or Twitter. Decide what networks work best for you. A multi-platform approach to social media is best. Whichever ones you choose, be consistent in your engagement. The only thing worse than not having a Twitter or Facebook account is having an inactive one. It’s relatively easy to monitor and engage your traffic here. And just about everyone’s on Facebook, right? 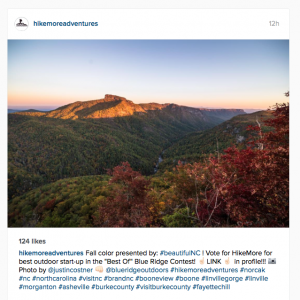 How to make it work for you: Travel and tourism businesses can post pictures, respond to comments in a timely fashion, and offer contests. This platform is especially great for those in the travel industry. Consider it a virtual postcard of your brand. How to make it work for you: Post those swoon-worthy shots of your spa or salivary gland busting photos of your restaurant’s new menu item. Hotels and resorts can also post pics of local events coming that potential guests might want to check out. 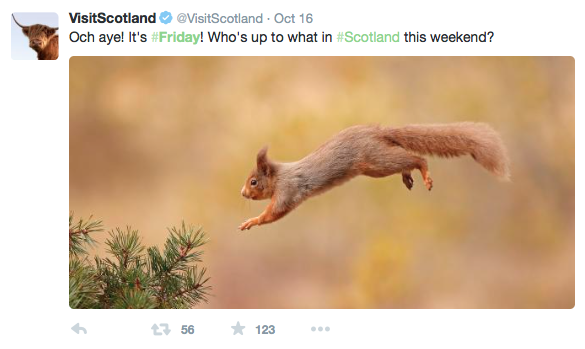 Travel and tourism businesses can really shine on Twitter – especially if your content is on fleek and you stay actively engaged with your followers. How to make it work for you: Post original (and fantastic) content, retweet content that relates to your brand, acknowledge and chat with your active followers. This is definitely a “next best thing to being there” kind of strategy. YouTube is perfect for travel businesses to build excitement and increase brand shareability. How to make it work for you: Do virtual tours of your hotel or B & B (but not too many); or post a Go-pro view of your tour. Including YouTube videos of your business from guests and customers is an excellent idea, too. This live streaming video mobile app is part of the Twitter family. It lets you “go live” from your mobile device from anywhere and at anytime. You’re like a one-person broadcasting station. People following your live video can leave comments that you can respond to in real time. It’s an easy way to engage your Twitter audience. How to make it work for you: Periscope at an industry event or trade show. Give people a behind-the-scenes tour of your resort or destination (we love that stuff!). Use it for product launches or sales promotions. These percentages are just a guideline and aren’t etched in stone. They may vary a bit depending on your current marketing campaign or other events related to the travel and tourism industry. True confession here – I sometimes struggle with consistently using my social media calendar. However, when I do use it, I notice a huge difference in the quality of my engagement. I could list a million reasons why a social media calendar is vital, but Neil Patel over at QuickSprout sums it up nicely in this post: Why You Need a Social Media Calendar and How to Create One. Use a content marketing tool to keep it together. Sometimes the thought of wrangling all your social marketing efforts seems a bit daunting. There are a ton of content marketing tools that will make you more efficient. I like using Hootsuite. I can post on multiple platforms, schedule posts for later, and organize my list of industry leaders. However, that’s just from an organizational standpoint. Whether you need content ideas, writing help, or tips on using infographics, there’s a tool for that. For an extensive list of really great content marketing tools, read this post over at Kissmetrics. Adding images to your content is a smart way to build your travel brand’s awareness and increase the likelihood of people sharing your stuff. Click To Tweet. Not sure what kind of visual content to add? Post infographics that relate to your travel and tourism business. For example, spa owners could create an infographic about the latest study on how regular spa visits help people live longer. You can make your own infographics on sites like Piktochart, or share someone else’s through Dailyinfographic. “Useful tips” lists are almost limitless. Share a list of local attractions near your hotel, or include a helpful packing list for potential guests. Surprising or entertaining photos work well, too. Got a shot of your resort’s resident iguana lounging beside someone’s margarita? Or how about that happy pic of the couple who got engaged in your restaurant last night? You get the idea. If you recognize your need for a social media strategy but aren’t sure how to get moving, I’m here to help. I can help boost your social media efforts by outlining a plan that works best for your business. I can also create fresh (and shareable!) content and increase interaction with your followers. Call me and let’s launch your social media strategy today!